Brand new for the 2018 Season! The Perfect Boat for Tubing, Skiing & Cruising! 250 HP, Bluetooth stereo, and a built in cooler, wide/deep hull which provides steady handling and a very spacious layout. Sounds like a great day on the lake to us! BRAND NEW THIS YEAR! This boat is a lot of fun. Have a great time on the lake in this well appointed, high-powered boat. 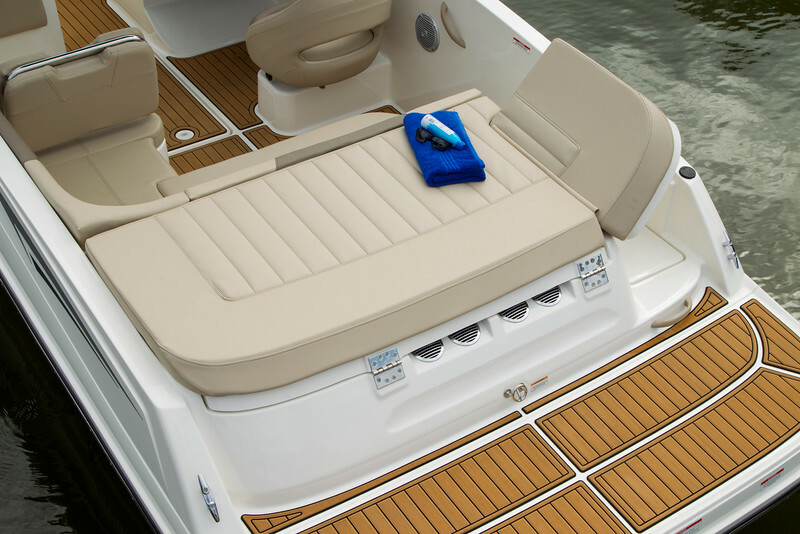 We take great care of our boats and ensure the Bayliner VR5 is well maintained, clean, and ready for you to enjoy. If you’re looking to have a great day out on the lake wakeboarding, water skiing, tubing or just cruising, this is the perfect boat to do it in. At 250 HP it’s got plenty of power but is manageable for most people. You’ll have a great time! The 20′ Bayliner VR5 is a great speedboat that’s perfect for a family or group of up to 8 people. While powerful, a novice operator can quickly gain confidence. The Okanagan lakes have lots of room for you to cruise in. 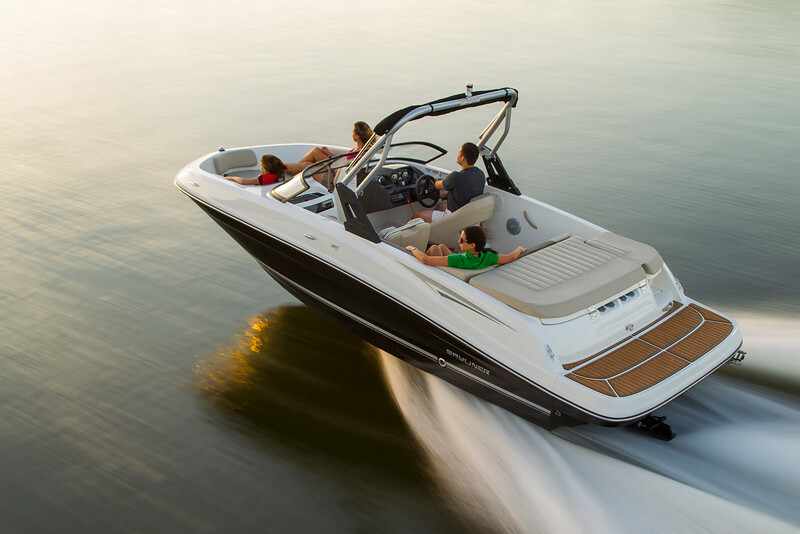 At 250 horsepower, this boat has enough power to be a great time! However, it must be operated safely as it is capable of “outperforming” its operator.